Frank Miller, the man behind “Sin City” and “300,” has entered into the limelight again, but for a very different reason. Miller’s pissed off at the Occupy Wall Street protestors and wants everyone to know it. In his November 7 blog post, Miller blasts the Occupy protestors, calling them “schmucks” and “pond scum” among other things. Read the entirety of Frank Miller’s blog post, entitled “Anarchy,” below. Some are arguing that Miller’s post has caused him to become a parody of himself, while others are cheering his candor. What do you think? 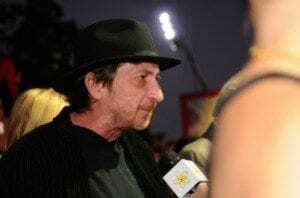 How do you feel about Frank Miller’s take on the Occupy Wall Street movement? Share your thoughts with us below.